Kids parties are always a delight. The vibrant colors, such lively decoration, the crazy cheers of kids all-around... brings out the child in you. For the same kind of innocence and peppiness, Partybell has the cutest party kits. Disney Beauty and the Beast party kit is perfect option for a party of upto people. The kit consists of 16 dinner plates, dessert plates, cups, foroks, spoons, 20 lunch napkins, 2 solid table clothes, 12 latex balloons, 2 curling ribbons, 1 decoration kit and one box of 24 candles. 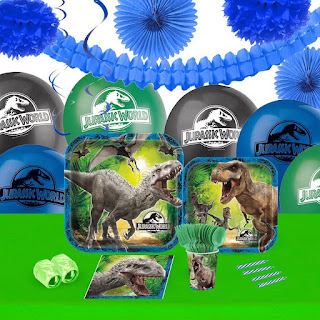 For the dino lovers, the kit is a perfect pick for the kids to time travel to jurassic era. The kit consists of 16 dinner plates, dessert plates, cups, foroks, spoons, 20 lunch napkins, 2 solid table clothes, 12 latex balloons, 2 curling ribbons, 1 decoration kit and one box of 24 candles. 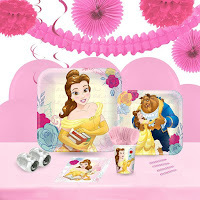 The party kit has 16 invitations, dinner plates, dessert plates, cups, forks, spoons, 32 napkins, printed table-cover, 1 foil balloon with balloon weight, 12 latex balloons (2 colors), crepe paper, curling ribbon and cake candles. 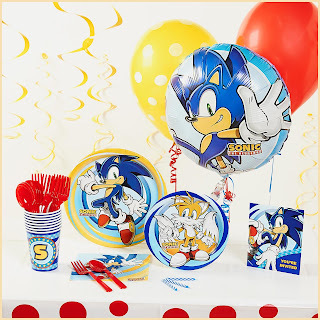 An officially licensed Sega product, the party kit consists of 16 invitations, dinner plates, dessert plates, cups, forks, spoons, 32 napkins, printed table-cover, 1 foil balloon with balloon weight, 12 latex balloons (2 colors), crepe paper, curling ribbon and cake candles. Don't forget to dig in Partybell for more options. 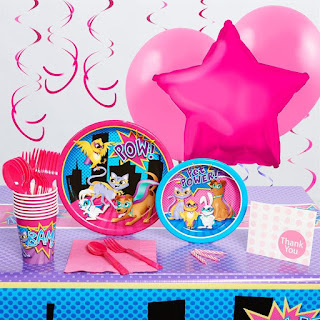 Have fun planning and decorating your kiddo's party!